Alexandria Ocasio-Cortez is the biggest star in Democrat Party politics. But the freshman Democrat has developed a habit of creating one scandal after another. And now Ocasio-Cortez is in hot water because she crossed the line with this terrible insult to America’s veterans. This nonsensical theory has been completely discredited after decades of alarmist predictions about the East Coast going under water, imminent ice ages, and other apocalyptic predictions and hysterics by Al Gore have proven to be nonsense. But that doesn’t stop the fake news media and their allies in the Democrat Party from pushing this scam on the American people. And Alexandria Ocasio-Cortez took this madness to a sickening new level in an interview with liberal writer Ta-Nehisi Coates at Riverside Church during a Martin Luther King, Jr. Day celebration. Many Americans were offended by these remarks. Ocasio-Cortez compared the very real sacrifice and heroism of the greatest generation defeating the very real evil of Nazism to a generation of privileged liberals demanding Americans submit to complete government authority over the environment and economy. But the controversial Democrat did not stop there. 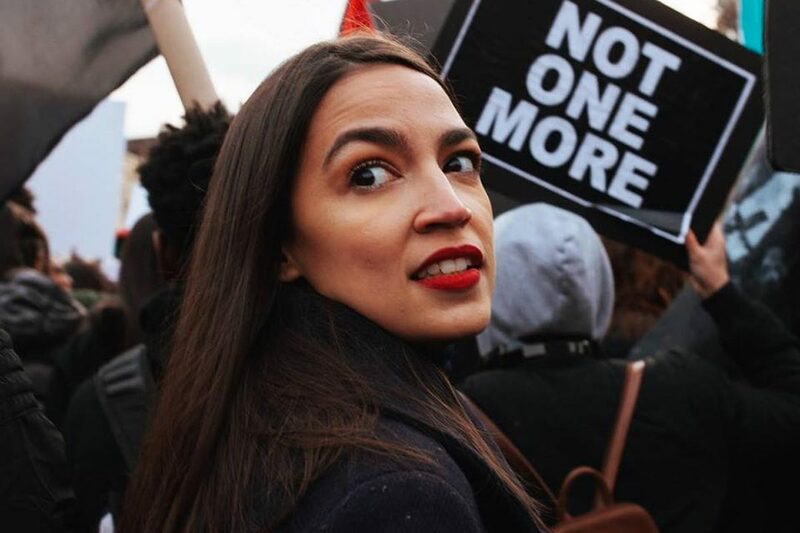 Ocasio-Cortez picked up the mantle of global warming alarmism from Al Gore and falsely claimed, without citing evidence, that the world would end in 12 years unless the government enacts her proposed Soviet-style command-and-control economic policies. If she has proof the world will end in 12 years, then she should present it and policy makers should take swift action. But there is no evidence. The whole global warming industrial complex is a sham. It’s a front to allow the Democrats to impose policies on the American people that they would never be able to impose under normal circumstances. For example, the left wants to move America away from fossil fuels because they claim driving gas powered cars “warms” the planet. But back in the 1970s, global cooling was all the rage. “Scientists” predicted the earth was on the verge of a new ice age. When that did not pan out, the left conveniently switched gears and changed the script to say the earth was not cooling, in fact, it was warming at a dangerous rate.